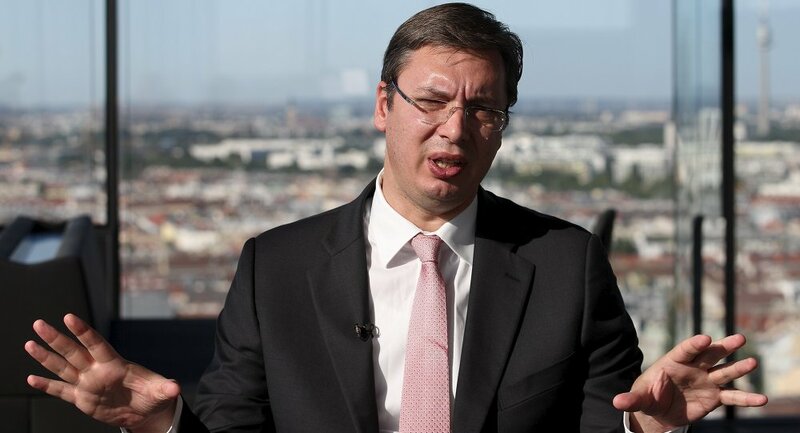 Serbian Prime Minister said that Serbian EU accession negotiations will be opened on December 14. BELGRADE (Sputnik) – Serbian EU accession negotiations will be opened on December 14, Serbian Prime Minister Aleksandar Vucic said Thursday. "As a result of our long-term effort to make Serbia a country of European standards and values I can gladly report that Serbia will officially open the first chapters of negotiation launching talks on membership in the European Union on December 14," Vucic said of at the opening of the OSCE Foreign Ministers session in Belgrade. Serbia received official EU candidate status on March 1, 2012. The European Council announced the launch of official negotiations January 2014, but talks have not yet begun. Last week, Serbia’s chief negotiator with the European Union said she expected the sides to open talks on Serbian accession to the European Union with the subject of Chapter 32 on financial control and the contentious Chapter 35 on normalizing relations with Kosovo. Chapters on consumer and health protection, as well as those on justice and home affairs cooperation are expected to follow.